The history of the church is filled with stories. Stories of triumph, stories of defeat, stories of joy, and stories of sorrow. These stories are a legacy of God’s faithfulness to His people. 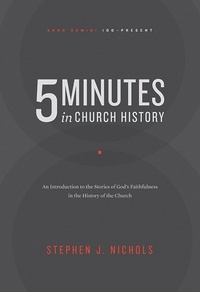 In this book, Dr. Stephen J. Nichols provides postcards from the church through the centuries. These snapshots capture the richness of Christian history with glimpses of fascinating saints, curious places, precious artifacts, and surprising turns of events. In exploring them, Dr. Nichols takes the reader on a lively and informative journey through the record of God’s providence to encourage, challenge, and enjoy. This is our story—our family history.